As part of Denmark’s and Lithuania’s celebration of Lithuania’s 100th anniversary of restored independence, the Lithuanian Film Center, The Danish Embassy in Lithuania and The Danish Cultural Institute in Estonia, Latvia and Lithuania initiate the educational film program Film LT100 for Lithuanian school children. Film LT100 is a simple format allowing children in the age group 7-16 years to produce their own films using tablet computers and other modern, easy-to-operate technology. The initial workshop of Film LT100 will take place on September 20-21 at The Atomic Garden in Vilnius. Here, Lithuanian teachers and educators will learn about specific methods from Danish film and creative education expert Kasper B. Olesen, founder of the company “Lommefilm” (meaning “Pocket Film”). As a contribution to this workshop, Danish film and education expert Ditte Mejlhede will give a presentation of her experience with implementing film and media literacy projects in Danish schools. She has previously been a part of The Danish Film Institute, but now she uses her knowledge working as a freelancer. 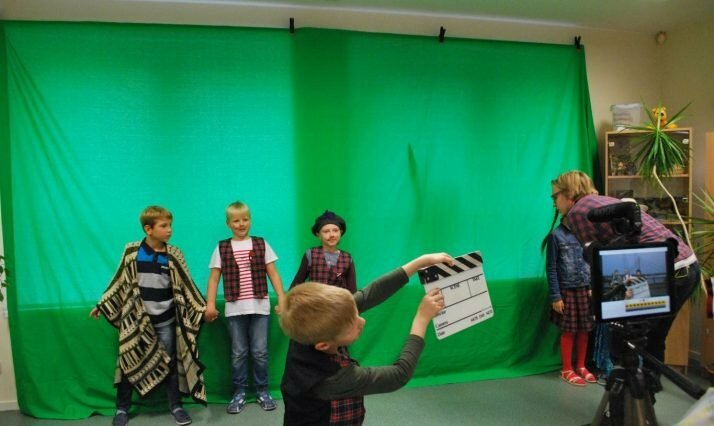 Film LT100 will be officially launched in October, when the first Lithuanian school children from around Lithuania will get the chance to try out the methods and produce their very own short films. In the format of Film LT100, children work together in all phases of film production – from script writing, directing, shooting, acting and editing. All of this can be done in one workshop of 2-4 hours, activating all children of a school class and strengthening cooperation and communication skills. The children’s own imagination is an essential element of Film LT100, and the range of themes is unlimited – from small fictional stories to films on historical events. Through Film LT100, children will not only make their own productions but also learn to reflect on the film media in general. In our modern digitalized world of constant audiovisual stimulation and information flow, it is vital that children learn critical thinking at an early age by becoming familiar with the mechanisms of different media. This way, a central aim of Film LT100 is to increase the level of media literacy among children. The format of Film LT100 is based on methods developed by the Danish Film Institute and their permanent film studio for children in Copenhagen. During 2018 and 2019, Film LT100 will be implemented at schools in Vilnius, Kaunas and several towns in the regions of Lithuania. The Danish celebration of Lithuania’s centenary of restored independence is coordinated by the Danish Cultural Institute in Estonia, Latvia and Lithuania together with the Embassy of Denmark in Lithuania and the Danish Ministry of Culture. Several Danish events are taking place in Lithuania during 2018, ranging from film and music to urban planning, education and museum collaboration.